Multiple bevels cut on each edge of each side of this octagon crystal grab the light and reflect surrounding color through the piece. 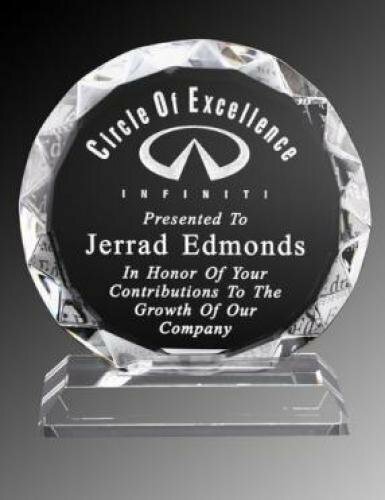 Mounted to a clear crystal base, this exquisite crystal piece can be personalized to honor excellence in achievement or milestone events. 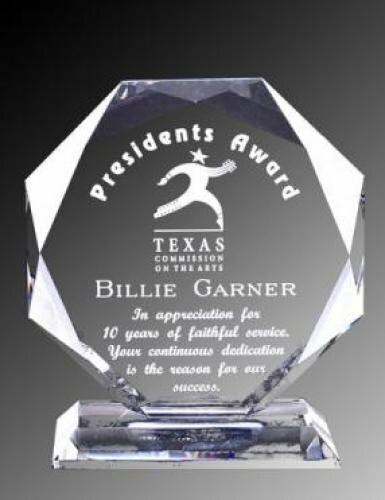 7.75" x 7" x 3/4"
8.75" x 8" x 3/4"
Beautifully beveled for maximum light reflection. Packaged in a hinged top, satin lined, presentation case. 5.25" x 4 3/4" x 3/4"
6.375" x 6" x 3/4"
7.5" x 7" x 3/4"